Not quite a gyro, not quite a burrito. 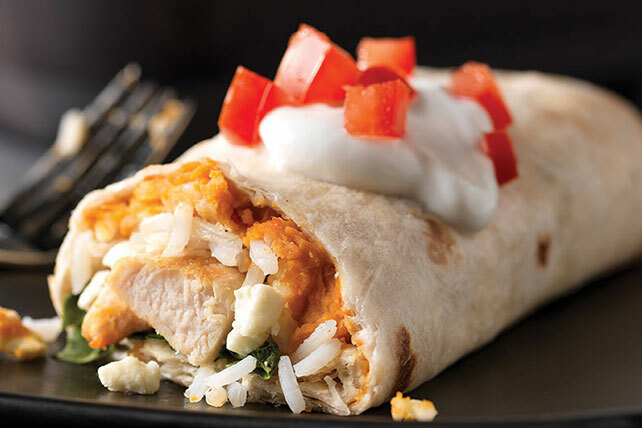 This recipe combines the two by wrapping up chicken, rice, hummus, feta, veggies and yogurt in a flour tortilla. Prepare using steam-in-the bag rice.